HC Institute director, Pietro Michelucci, participated in a White House meeting this afternoon to discuss crowd engagement methods that involve game-like elements. 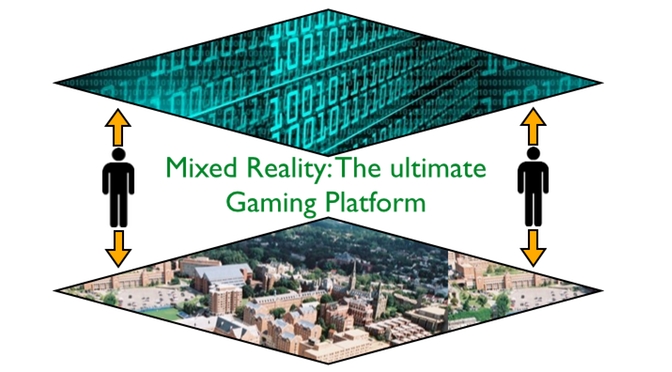 This was the first in a series of Washington, DC-based events titled “Games & Crowds: Using Computer Games to Maximize Crowdsourcing Outcomes”, to explore the societal value of such methods and prospective related initiatives. In a follow-on event, Dr. Michelucci will be presenting tomorrow at George Mason University on the topic of “Building Contentment” and the prospective role of gamification in the future of human labor.